Abraham Conlon: My name is Abraham Conlon. I am the Executive Chief and Co-Owner of Fat Rice, and my new book is "The Adventures of Fat Rice." Suzy Chase: Macau is only an hour away from Hong Kong, but I've heard that Macanese food has nothing in common with the various cuisines of China. Give us a little history of Macau. Abraham Conlon: Absolutely, Suzy. The history of Macau is a very complex and interesting one. It is in Southern China, directly across the bay from Hong Kong. It became a trading port about 400 years ago as essentially a center for trade and various cultural exchange. Essentially, Macau was the last place that the Portuguese were during the age of exploration, which started in about 1494. The interesting thing about Macau, the cuisine and the culinary landscape, it definitely incorporates all the places that the Portuguese were before. Whether that was Brazil, or Africa, India, Malaysia, even Japan. It brings all of these elements from all of these lands, as well as the basic fundamentals of Portuguese cuisine, and some basic techniques and ingredients from Southern China, all kind of culminating, mixing and melding into a beautiful harmonious cuisine. Suzy Chase: In this cookbook, you followed the roots of Portuguese traders and sailors and interpreted the food connections. Talk a little bit about your experience with Macanese cuisine and also cooking in people's kitchens. Abraham Conlon: Absolutely. Well, I think the story starts for me, I am of Portuguese descent, and I grew up in a town called Lowell, Massachusetts, which has 30% Southeast Asian population, so I was always around Asian flavors and I always around different ingredients and I was really intrigued by those. In 1999, I read about Macau and people there utilizing food as a method of heritage preservation, so it was interesting for me, to explore my heritage as well as the ingredients and other cultures that I was interested in. Then, when I found out about Macau in 1999, I read an article called "Original Fusion" in SAVEUR Magazine by Margaret Sheridan, and it was really intriguing because it was actually a combination of all these places that I had read about and had interest in. You had olive oil and bay leaf from Portugal, you had chili peppers and potatoes from the new world, from Brazil, you had curry spices from India, you had shrimp pastes from Malaysia, as well as beautiful fresh fish and soy sauce and various condiments from Southern China. Suzy Chase: What are the differences in the food made in homes versus what you can order in the restaurants on the island? Abraham Conlon: Absolutely. So, in Macau, it's really interesting. You have Portuguese restaurants which have very much regional Portuguese dishes, whether that's salt cod, or roast suckling pig, or grilled sardines. You have various great Chinese restaurants, wonderful dim sum. You always have restaurants that serve foods that Macau is famous for. Now, these are things like Po Kok Gai or Portuguese chicken, which is chicken cooked with curry and coconut milk and chorizo and olives. You have Galinha à Africana which is African chicken which is a roasted chicken with a sauce of peanuts and chilis and coconut milk, as well as olives and cornichon which goes on top. And various other things like pork chop sandwiches and egg tarts. Now, these are all relatively new inventions of Macau, and they are what Macau is famous for, and most people, this is what they see when they go to Macau and this is what they think of as Macanese food. For myself, the definition really is that this is food of Macau. There is a whole other side of Macau's cuisine which is Macanese cuisine, which is of mixed blood, Portuguese and Chinese, and the very bare minimum. People that create this dishes in their home, and they have a history over the past 500 years, and they have cousins and relatives in other countries, whether that's Portugal, Brazil, or India, or even Malaysia. So, we find these dishes, the home style dishes like Tacho which is a version of Northern Portuguese [foreign language 00:05:01] which is a boiled dinner, but actually in Macau, they add Chinese sausage or Chinese ham or puffed pork skins that give a varying texture that you wouldn't necessarily find in Portugal. Now, Tacho is something that you would never find in a restaurant. This is much more of a home style, one pot kind of meal that's meant to be served to many family and friends. Other examples of these are like [foreign language 00:05:29], the fat rice, which is our signature dish. Even Minchi which is the quintessential comfort food of the Macanese people, which is a ground pork, maybe sometimes ground beef, flavored with a bay leaf, olive oil, Worcestershire sauce, and three soy sauces, even usually with a little bit of rice and an egg. You have these controlled combinations of dishes that are very subtle and that aren't, frankly they aren't that appealing to the eye. It's said that Macanese cuisine, its beauty is on the palate as opposed to the eye. That has always presented a challenge to us in a commercial restaurant setting, but we always wanted to focus on flavor and the heritage and the tradition of these dishes. At Fat Rice, we celebrate both the dishes, famous dishes, of Macau, but we also focus on the heritage recipes of the home. Suzy Chase: Now, do you think Macanese food is the best representation of combined world cuisine? Abraham Conlon: It's definitely a strong contender. You know, it's interesting. Macau is very much a place like New Orleans or Veracruz or Venice or Sicily, or Northern Africa where like all lots of different cultures come together and blend and they learn from each other, and next thing you know, they're creating their own cuisine of time and place. It definitely does have lots of elements of many different cultures across this planet, and I like to think that it is one of the best representations of world cuisine. Suzy Chase: As one of the wealthiest cities in the world, why do you think that Macanese food is disappearing? Abraham Conlon: Well, I think the fact that it is becoming more of a gambling mecca. It is becoming more of a tourist destination. There is a focus on obviously economy and a lot of the Macanese people, after the 1999 handover, actually moved away. They either moved to Portugal, they might have moved to Brazil, they might have moved to Canada, California, Australia, et cetera. You have this diaspora around the globe that is still celebrating their culture. I mean in fact, in Macau itself, there is not many Macanese people, people that identify as Macanese. We're talking approximately somewhere in the 5000 range, and that's obviously fluxing in and out as time passes. But I feel that there is definitely for the Macanese people, there is this struggle for them to maintain identity and a sense of place, and I think food is one way that they are helping preserve their culture and for myself, I want to be a part of that and a tool, and help in the overall discussion and conversation. Suzy Chase: So before Fat Rice, X-Marx was your speakeasy restaurant in Chicago that you started with Adrienne Lo, where you hosted underground dinners. Now, were you preparing Macanese dishes at X-Marx back then? Abraham Conlon: We were preparing some Macanese dishes because again, since 1999, it's always been in the back of my mind. I was doing casual research and just here and there, and with the summer club, we always wanted to change it up and do new things. We would explore Indian cuisine or Vietnamese cuisine or Laotian cuisine or Lebanese cuisine, and we would interpret it in our own style. I think I remember doing a couple of dinners, we called it "under the influence," Portuguese influence that is. We might do some Brazilian dishes, we might do some Cape Verdean dishes, we might do some [Angolan 00:09:39] dishes, and we definitely incorporate some Macanese dishes of what we learned. Obviously I had never been there, but I had some literature and again, I was doing this casual research, so we definitely did a couple of Macanese dishes. We might have done some dinners inspired by Macau, but this was prior to our firsthand knowledge of the cuisine. When we finally got a chance to travel to Sichuan province and then ultimately go to Hong Kong and Macau was when we actually got a better understanding by getting in with some of the real Macanese people of mixed Portuguese and Chinese descent, and learned their recipes and learned from them. Then, when we came back, we definitely put out more Macanese dishes, but there was never a goal to open a Macanese restaurant. I think after time, which was five years of the underground restaurant, we did over 250 dinners, 7 to 15 courses per meal, rarely repeating dishes, and so we had this large repertoire of dishes and techniques we could employ in our upcoming restaurant. We knew we had to open a restaurant because the sustainability of the underground restaurant really is not that realistic. We had to move forward and build a restaurant, but we just didn't know exactly what we were going to do. Suzy Chase: Moving onto Fat Rice, were you ever worried that no one would get the Fat Rice cuisine, or they wouldn't recognize it? Abraham Conlon: Absolutely. It was a struggle for us in the beginning to say, "We're going to cook the food of Macau. We're going to cook Macanese food." We kind of at the beginning said, "Okay, well, we're going to use global Portuguese cuisine in general and the places that they touched upon, and we're going to cook those cuisines." If they were in China, we're going to cook ... We might have Sichuan dishes, we might have Cantonese dishes. If they're in India, we might have Indian dishes, but I think over time, relatively quickly in the first couple months, we realized that we were being recognized as a place that serves Macanese food, and what is Macanese food, and we started trimming. I said, "Get rid of the Sichuan dishes, get rid of the Northern Indian dishes, get rid of these other dishes that didn't really make sense to a Eurasian conversation." We really started focusing in on the home style recipes of Macau and then really looking at again, these other small microcosms of your Asian communities around the world that again, created or gave birth to Macanese cuisine. But that was one of the reasons why we named the restaurant Fat Rice. Fat Rice was a direct translation of Arroz Gordo, which was a dish that was uniquely Macanese, that had roots in Portuguese, that had influences from all of these other places, and we wanted it to be simple. We wanted it to be straightforward, and even if people didn't understand global Portuguese cuisine, Macanese cuisine, even know where Macau was, they would say, "I had an amazing meal at Fat Rice. Are you going to Fat Rice? That place is great." Or whatever the dialogue may be, but keeping it simple and not something so poetic. Suzy Chase: So, while reading this cookbook, I discovered fermented shrimp paste. I'd never seen that before. Can you describe it and how do you use it in dishes? Abraham Conlon: Sure, absolutely. When we're talking about fermented shrimp paste, and specifically Macau, we're talking about balichão. Now, balichão is a derivative of many things. It could be belacan, bagoong, balchao. These are all names of essentially a dried or fermented shrimp paste or powder that comes from essentially warmer climates, shower waters where it's tiny krill that has been dried and then made into a paste or a powder. Now, the thing that defines Macanese balichão from all of the other Southern Asian shrimp pastes, which are employed in many dishes, is the addition of European and new world ingredients, if you will. Now, balichão is the small shrimps are combined with brandy. Now, that could be Chinese spirit or it could be Portuguese brandy. Very important ingredient is laurel leaf, the bay leaf, as well as lemon, chili, peppercorn, sometimes other spices, blended together and allowed to ferment and age in a way that it develops this really cheesy, funky, bright aroma and flavor profile. Now, and you won't find that particular recipe in say a place like Malaysia or Thailand, where fermented shrimp paste is utilized a lot. It is very, very rare that in Macau you will find ... It's not a commercial product. You do not find this in the stores. This is really only made in people's homes. Now, very few people make it from scratch. Two of our friends are one of the only people that we know of that make it from scratch. Usually, it is a doctored up shrimp paste or brine shrimp that home cooks are using in their home as a matter of convenience. They might take some shrimp paste, add some brandy, add the bay leaf, and peppercorn, chili, et cetera, whatever they might have as their family [foreign language 00:15:40] doctor up recipe and then allow that to age. That's what they'll use, because even we found that even the shrimp that is traditionally used in that condiment is unavailable in Macau proper. Like, sometimes people have to go and have this stuff brought in from the mainland. When we were in Macau and I had read about balichão, I thought it was going to be on every street corner, like this was a thing, and I was just running around and asking various shop owners, and really they didn't understand what I was talking, because again, the Macanese community is so small that most ... And frankly, most mainland Chinese and even mainland or Chinese living in Macau don't necessarily even recognize that there is a Macanese community. They're essentially just Portuguese. Abraham Conlon: Yes. There is almost no ... There is a lot of ignorance towards the community in that people, when you're Chinese and part something else, you're almost no longer Chinese, now you're Portuguese, and there is no culmination point. Which is unfortunate because it is something, definitely a community that needs to be recognized within Macau, and understood. I think that is one struggle for the Macanese community is establishing and maintaining their identity. Suzy Chase: On Sunday night, I made your recipe for Macanese meatloaf, Capela, on page 203. So, talk a little bit about this recipe. Suzy Chase: Because it's round? Abraham Conlon: ... shaped in a ring. Now, it's usually made with at least pork, sometimes beef, but it's kind of a meatloaf to end all meatloaves as far as I've concerned. It is pork, sometimes beef, mixed with soaked bread which is soaked in milk, which gives a nice texture. It will have pine nuts or pili nuts which is a very rich nut that similar to like an almond or a macadamia nut in fat content, that they use in Macau in many traditional recipes. It has ground or chopped up chorizo or Linguiça sausage in it, as well as olives, black olives which give a beautiful fruity fragrance to the whole thing. Usually topped with cheese and topped with bacon, and then brushed with egg white, and then ... Egg yolk, excuse me, and then baked in the oven. It retains so much moisture. It has so much flavor. Sometimes there's even ham involved in there. That's one of the things that really drew me towards Macanese cuisine, was just this over the top combination of proteins and flavors and so many things going on within each dish, but it really comes together and harmonizes beautifully. Great texture, and great moisture content, as well as having a lot of flavor. Suzy Chase: It was really good and I thought that the black olives and the mushrooms were surprising. Abraham Conlon: Yes. The mushroom was an interesting addition, and there are definitely some tweaks that we have in our recipes, and we go over that in the book where we say, "You might not find the wood ear mushrooms." That is not a traditional tradition to Capela, but through travel from Southeast Asia, finding like in say something like a Vietnamese style pork pate where they do put the wood ear mushrooms in there, giving a snappy contrast in the pate, and we took that and we crossed the line and brought that over to Capela, which is kind of our dish, and our little just homage to our own experiences within the world. But again, we try to make it really a point where we say, "This is what we know. This is what is traditional, and then this is what we do within this dish" just to be clear and to not say, "Oh, traditionally Capela has wood ear mushrooms in it." We want to be very careful with that, but also have a means to express ourselves with our own perspective and our own lens. Suzy Chase: Where can we find you in Chicago and on the web? Abraham Conlon: You can find me in Chicago at Fat Rice Restaurant in Chicago, Illinois, at Logan Square, Sacramento and Diversey. Our website is www.EatFatRice.com, and all of our social media, Facebook, Twitter, and Instagram is @EatFatRice. 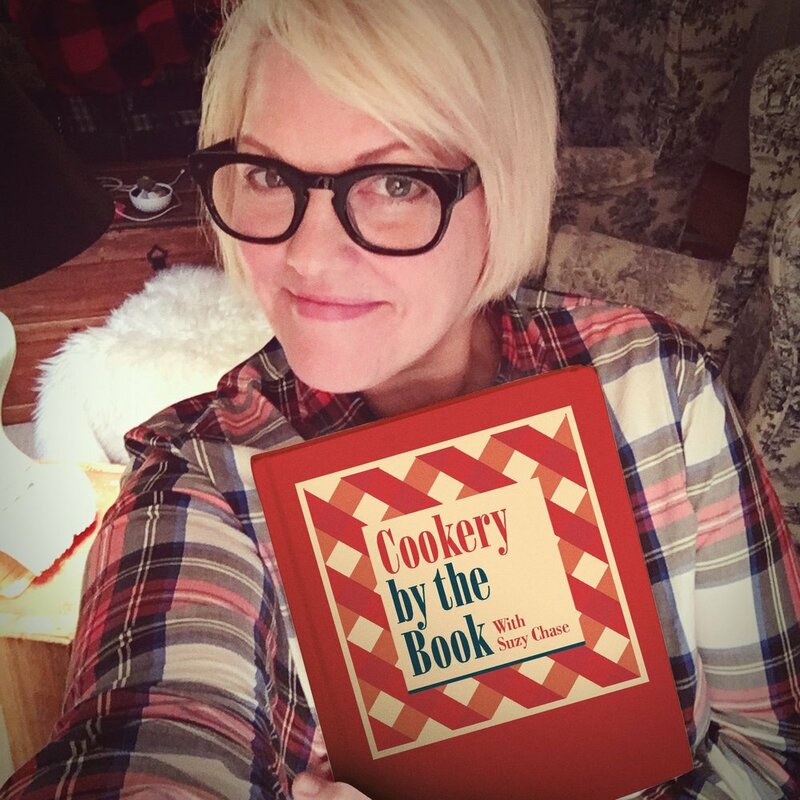 Suzy Chase: Abraham, thank you so much for preserving Macanese cuisine for generations to come, and thanks for coming on Cookery By The Book Podcast. Abraham Conlon: Thank you so much. It was my pleasure.